PTM Document Systems will reformat your print program. No hassle for you. Popular application software packages are already formatted and are immediately available. For example: Great Plains, QuickBooks, Peachtree, MAS 90 and many more. Any document can be reformatted to work with the Print to Mail™ Accessory. By utilizing PrintChef to reformat your documents, you can print, fold, and seal all in one easy step. This product gives you all the power of printing with PrintChef, including the capability for Print-to-Mail™ from any application and to any printer. It also includes equivalent "print recipes" for interaction with Stamps.com (requires a Stamps.com account). Reformat your accounts payable/payroll checks, statements, invoices, delinquent notices, letters, etc. with PrintChef to print, fold and seal your documents in one easy step by utilizing the Print to Mail™ Accessory. 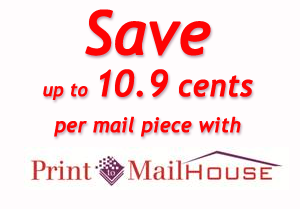 The Check to Mail plug-in to PrintChef offers the full capability to convert your application software standard outputs into proper Print to Mail™ format for pressure-seal fold-and-seal mailers. PrintChef uses "Data Doorway" to extract the output from printed pages sent to the PrintChef driver by your application software, and then rearranges that output according to "print recipes" to create the desired look and feel for any project. In particular, when combined with the PTM Document Systems' Print to Mail™ printing system, it allows the user to print their current forms directly to the Print to Mail™ device... without changing the layout! Kits are available for each major accounting package: Great Plains, QuickBooks, MAS 90, PeachTree and many more. User orders the kit matching their application software. PTM Document Systems has alliances with most education application software companies and a growing number of financial/accounting, medical, tax, and property management application softwares. Contains one recipe type and a plugin to protect them; and 4 recipes to handle all cases (plain, with signatures, with MICR, and with both) for printing. Contains one recipe type and a plugin to protect them.